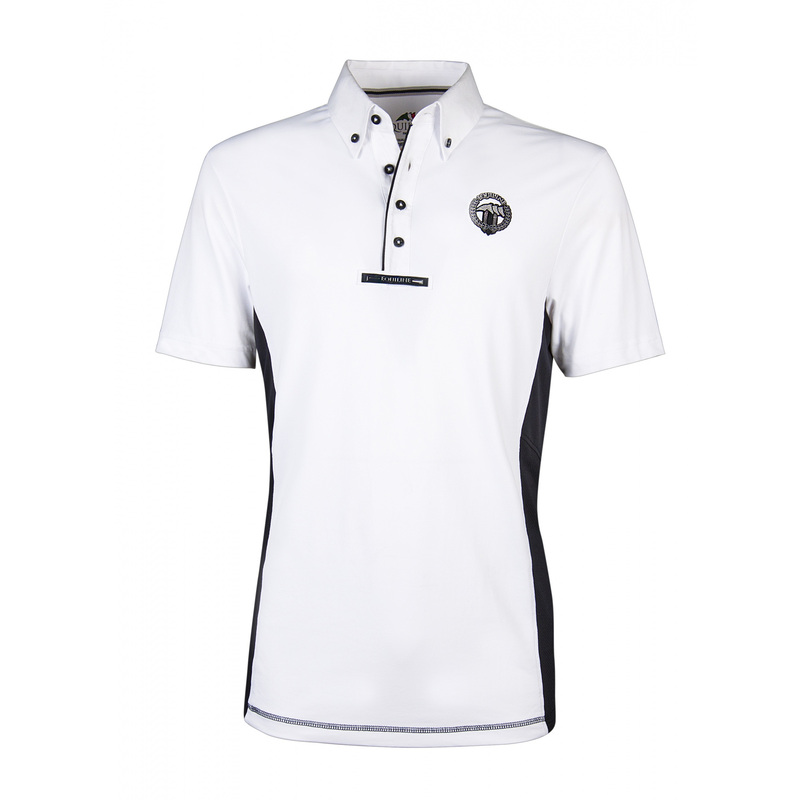 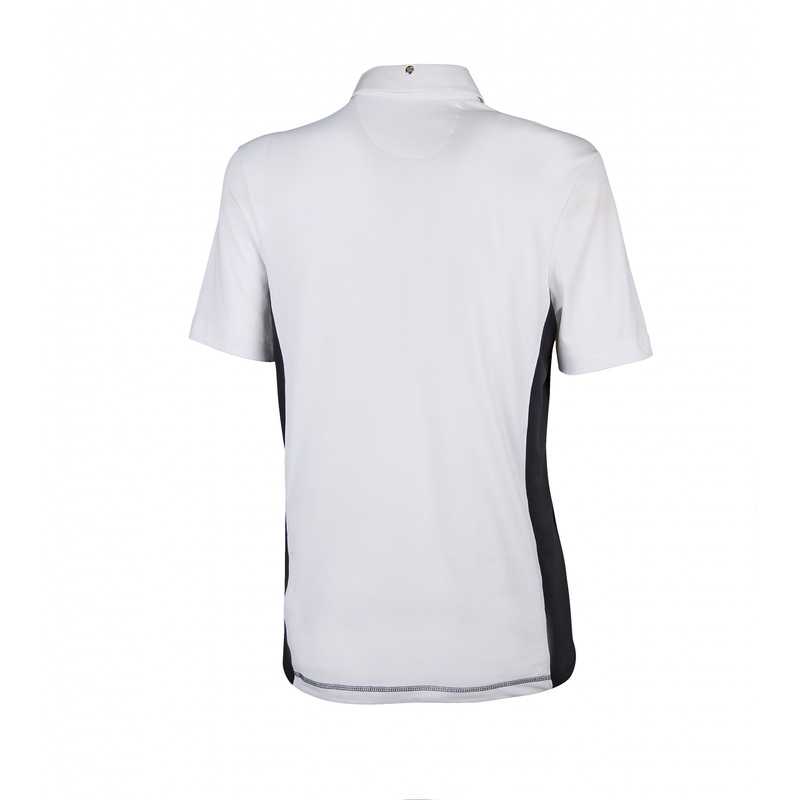 Men's Tiger show shirt made of elegant white material with contrasting black sides, buttons and stitches. 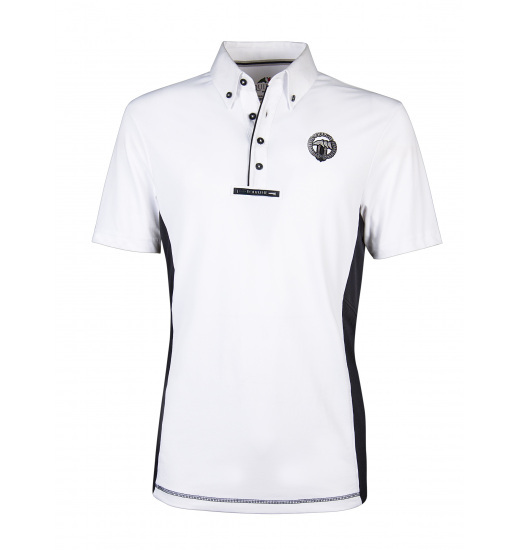 The brand's logo is embroidered with a silver thread on the chest. 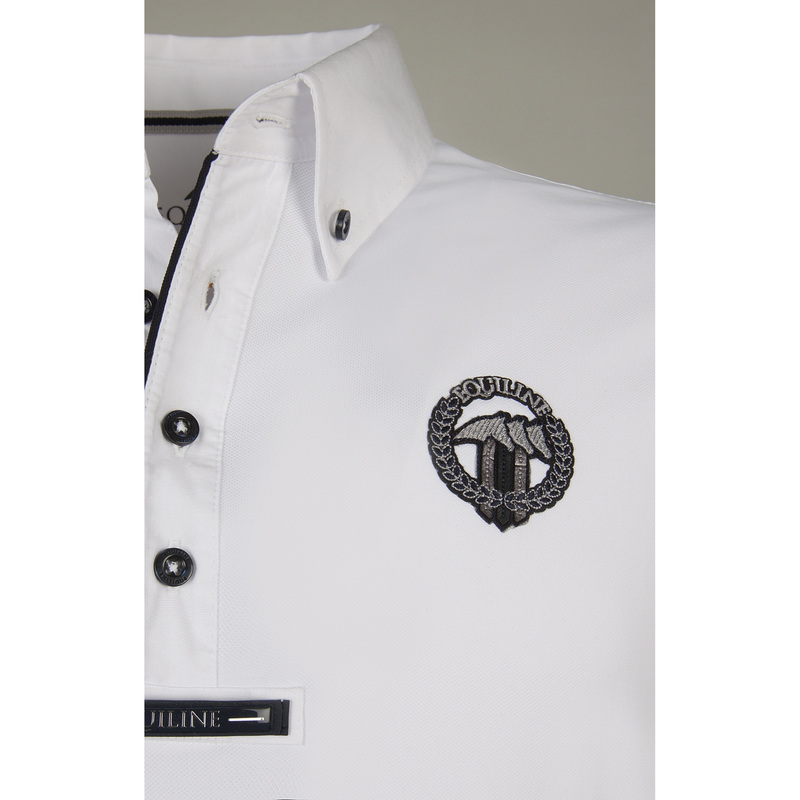 Under the buttons, there is a black Equiline motif.